Scientists that we funded have identified a new source of stem cells which help to build blood vessels in the growing embryo. This landmark finding, published in today in Nature, changes scientific understanding of how blood vessels are made and brings scientists one step closer to using stem cells to grow new blood vessels and repair damaged ones. Growing and repairing blood vessels is a major goal in treating heart and circulatory diseases, where vessels become damaged, for example – coronary heart disease and peripheral arterial disease. 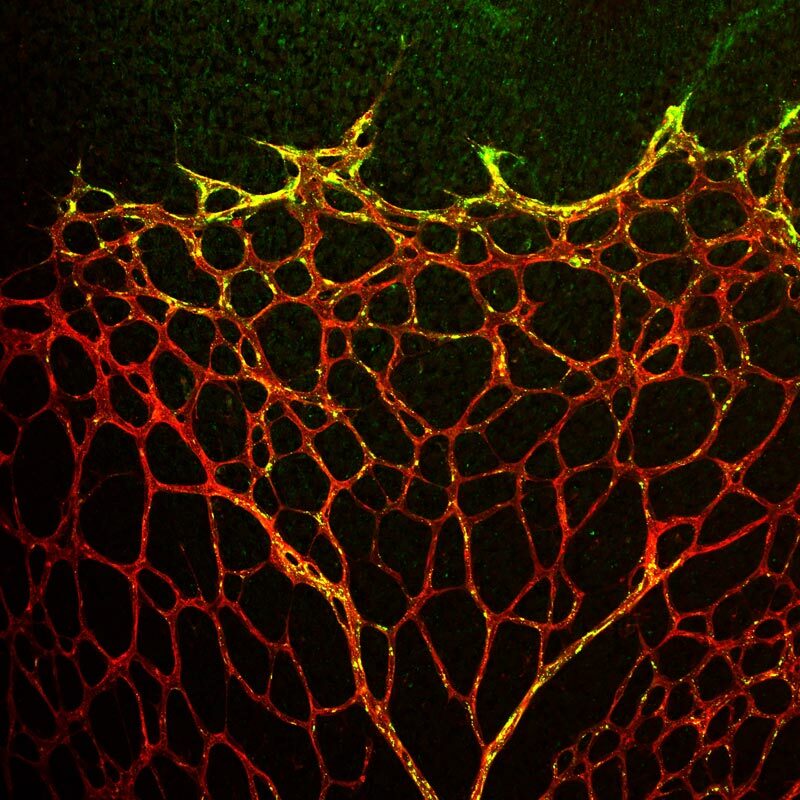 Until now scientists thought that new blood vessels in the embryo only grew when existing endothelial cells – important cells which line all blood vessels – divided. The new research from UCL (University College London) shows that stem cells in the bloodstream can develop into endothelial cells and add to the vessel wall. Stem cells are cells that can grow into different mature cell types. For decades researchers have been searching for stem cells in the blood that can develop into endothelial cells because of their potential in regenerative medicine. So far, scientists have disagreed about what such ‘endothelial progenitor cells’ are, what they look like, and whether they truly exist in the blood. This study provides important new evidence that such a stem cell exists in the blood stream of developing embryos. A next step will be to determine whether these cells can add to the lining of blood vessels throughout life, and tracking them down in humans. The researchers used fluorescent tags to follow the fate of the stem cells, called erythromyeloid progenitors (EMPs). These cells were already known to develop into red blood cells and certain types of immune cells. EMP stem cells grown in a dish developed into endothelial cells as well as red blood cells and immune cells. The EMP stem cells also developed into endothelial cells in mice that were naturally growing in their mother’s womb, and they continued to line blood vessels into adulthood. Methods need to be developed in order to track these elusive cells down in humans. More research is also needed to determine if the endothelial cells that come from EMPs have their own unique function and just how they can be used in regenerative medicine. “Using stem cells to treat patients with heart and circulatory disease has huge potential. But taking positive findings from the lab to patients has often been very challenging.